While "Jolene" isn't my favorite, It is definetly a set highlight, and this is the version I refer to. If you know a better one, do tell me. I really don't like most the songs from that show, cause it wasn't exactly their best, and it envolved A LOT of tuning, but this song is the one I really loved. Pretty awesome guitar version to the piano driven song. This is actually the first live White Stripes Songs. Great. This is always the end of a White Stripes show, and this is the best version i've heard. 5. "Ball and Biscuit" Live on VH1. I took an audio only version of the video, just beacuse the only video of it has the audio and the video kinda jacked up. But this is definetly the best "Ball and Biscuit" performance ever. Pretty Amazing. While Jack's Vocals are a little Shaky, This song is a burst of energy, a force to be reckoned with. I think this is BY FAR the best version of the song, and it is so beatiful. Unfortunately, I don't know where it's from. Ok, This blew me away the first time I saw it. Jack and Meg and playing Absolutely perfectly, and Then they just melt right into "Party of Special Things To Do. I frequently consider this song a privilege to listen to. Has Anyone Else Noticed This? Jack White's looks have changed over the years, and here is my chart of the Jack White Looks. 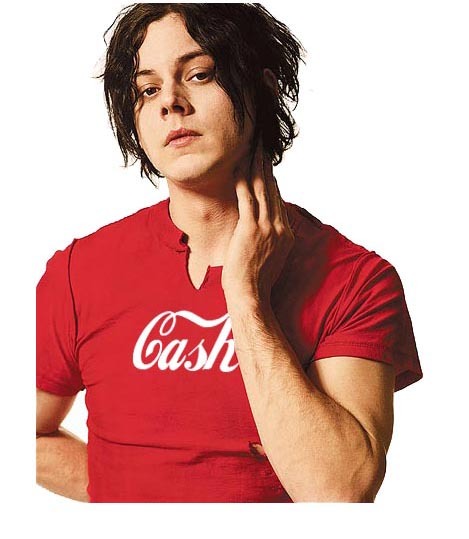 This is the only photo of this one I could find, and it's from the early white stripes/upholsters days, and jack barely had a set of hair. Weird to think, right? The more widely seen version of early Jack White. This lasted about two albums, then changed a little. In This, Jack's hair just kinda changed. Not huge, but worth noting. I'm pretty sure this is the Jack that White Stripes fans love the most. The Height of his career, and Jack looked amazing. This was kinda his sgnature. And it left pretty fast. 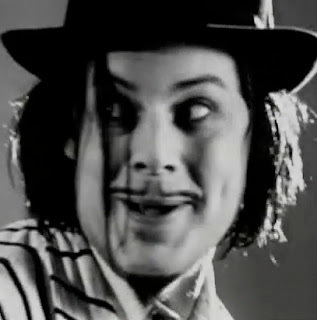 This is Jack White in just plain awesome form. While Get Behind Me Satan Jack was weird, Jack was at least the same fun Jack. When performing with The Dead Weather, Jack seemed like.... He was on drugs, or something.... Its just a weird time period. So There..... Yep..... You all probably think im weird now.